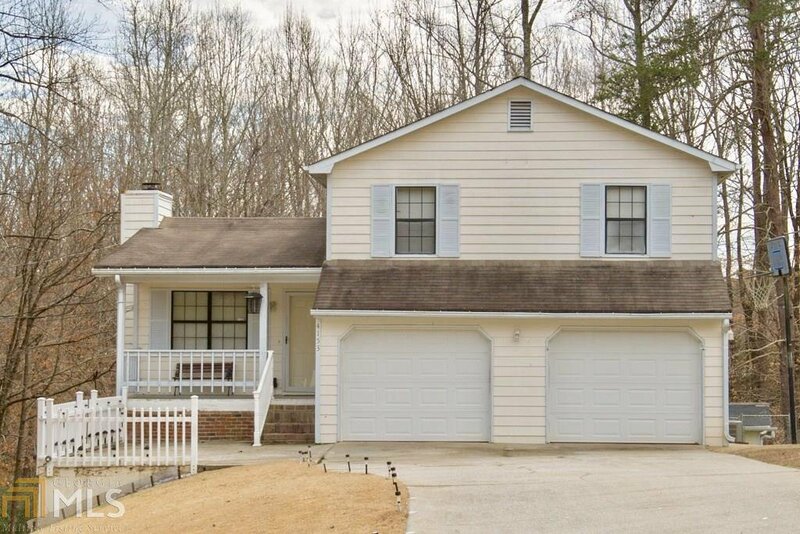 Wonderful 3 bed/2 bath home w/ split level floor plan & a ton of storage space! Very clean & move in ready! Plenty of room in the garage or basement area for a workshop! HVAC was recently replaced! There are no HOA fees in this quiet & friendly community. Enjoy serenity & a cup of coffee on your covered deck over looking your private backyard that backs up to a creek & woods. The seller will miss the convenient location, & mostly his neighbors, there were plenty of cookouts & camaraderie. This home also has two addtl enclosed spaces in the back accessed from outside. Listing courtesy of Keller Williams Chattahoochee. Selling Office: Virtual Properties Realty .Net.